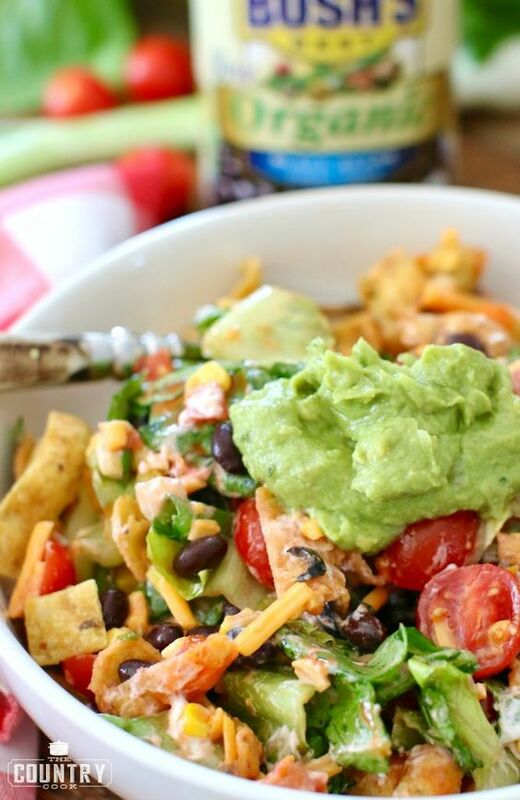 This salad is so filling (black beans have lots of fiber and protein!) that you won’t even miss the meat! First, cook your corn. This is so easy to do in the microwave. Arrange both ears of corn, un-shucked, in the microwave. If you prefer, you can set them on a microwaveable plate or tray. Cook for 5 minutes. Allow to cool. Set the ears on a cooling rack or cutting board to cool. When the silks and top leaves are cool enough to handle, quickly shuck the husks off the cobs. Then cut the corn off the cob. I love ALL the toppings! 0 Response to "Vegetarian Frito Taco Salad recipe"